Labor Party leader slams Yesh Atid faction for vote in favor of government draft law. 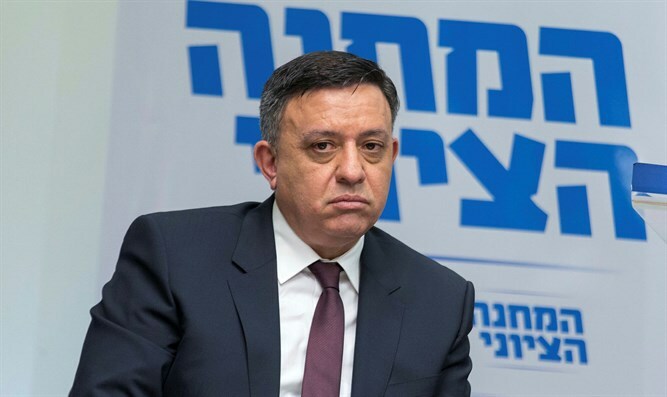 Avi Gabbay, chairman of the Labor Party and the Zionist Union, slammed the decision of Yesh Atid leader Yair Lapid to vote with the government in support of the draft law despite being in the opposition. "Today we will see in the Israeli Knesset how the hands of the Yesh Atid party appear, after they were frightened by the polls and stopped believing. They stopped believing that our camp can win. They have decided to join the other side, to give up our values ​​and give up our positions," Gabbay said. Gabbay called Yesh Atid a "party that says that if we cannot beat them, we'll join them. It is a party that takes votes from our camp, a camp that strives for a change of direction and government, and divides them with Liberman and Netanyahu, with those who are side seeks to replace." "What happened? You fell a little in the polls, and therefore you flip flop? You become traitors to the the voters and the whole camp?" he asked. "This is the time to prove our determination, resilience and leadership. It is not the time to run away. Stop flinching and running away. Our job in the opposition is to offer a vision to the public. It is our duty is to oppose this law - which is nothing but an 'Israebluff.' It is our duty to tell the public the truth - a haredi man who did not enlist yesterday will not enlist just because of this law." "Our commitment is clear: We are in favor of every citizen in Israel bearing the burden, whether in military service or in national or civilian service. But until this is realized, we have to ensure that those who do enlist, those who do volunteer, those who do contribute, will be rewarded with a proper wage and not with abusive living expenses, which lead to the fact that the working families have to maintain what little they have also for their daughters and sons who serve in the army," Gabbay added. "Our colleagues in Yesh Atid, I call on you to calculate a new route, to join us and vote against this combination. Be on the side of the soldiers, not against them." Zionist Union faction head Yoel Hasson also criticized Yesh Atid at the start of the weekly faction meeting Monday, "I wish to congratulate Yesh Atid for its entrance into the Netanyahu government. There is no doubt that they are taking a historic step - a faction in the opposition that signals confidence in the government." "Unfortunately, Yesh Atid is becoming a piece of history, because it is no longer an opposition party. The Zionist Union and the rest of the opposition factions will try to move on without Yair and his colleagues. There is no doubt it will be difficult, but we promise not to disappoint our constituency until we replace this government once and for all," added Hasson.